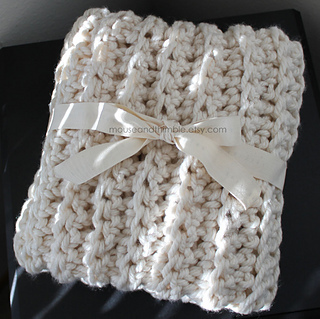 Create the thick, cozy texture of this chunky little afghan by working into the back loops of stitches. 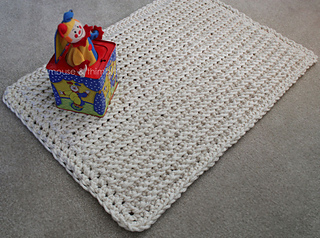 Quick & Easy to crochet with a Q size hook and super bulky yarn. 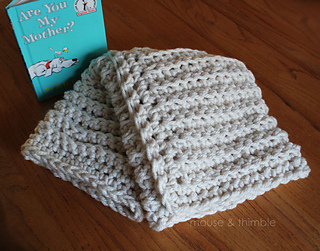 ♥ A very simple pattern with clearly written instructions, detailed reference photos, easy-to-follow format, stitch counts, abbreviation key with descriptions, and tips. Photos will show the anatomy of a chain; exactly where to place your hook and stitches; how to work in back loops, join new yarn, and weave in at the end.